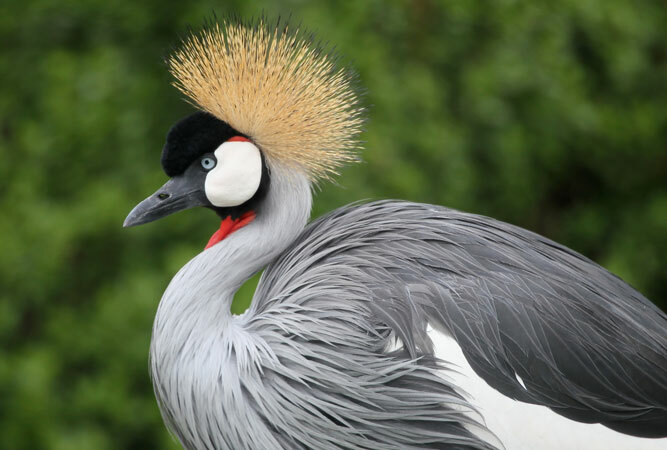 South Africa is home to three species of crane – the blue crane, grey crowned crane and the wattled crane. In case you were wondering they’re the tall, willowy birds that you sometimes see in pairs, or flocks, in open grassland or on farms. They appear almost regal. I often see blue cranes in the Overberg where they are now fiercely protected, and encouraged on farms. When they’re not mating, cranes tend to gather communally in wetlands and shallow dams. 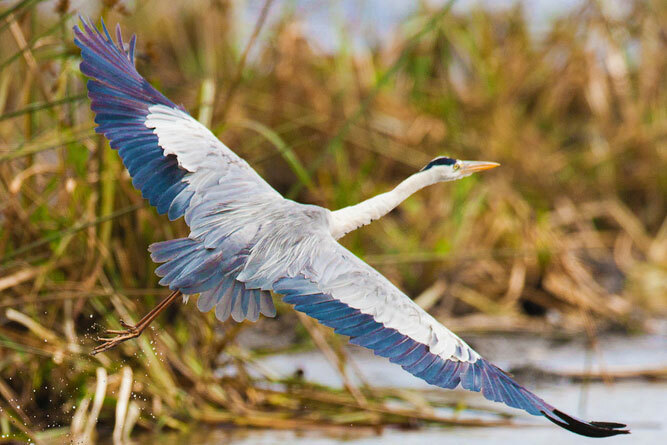 Blue cranes are the most numerous of the three endangered cranes, however they’re also largely limited to South Africa – 99% of them occur only here (bar the 60 or so around the Etosha Pans of Namibia) – whereas wattled cranes, and grey crowned cranes, live across southern-central Africa. 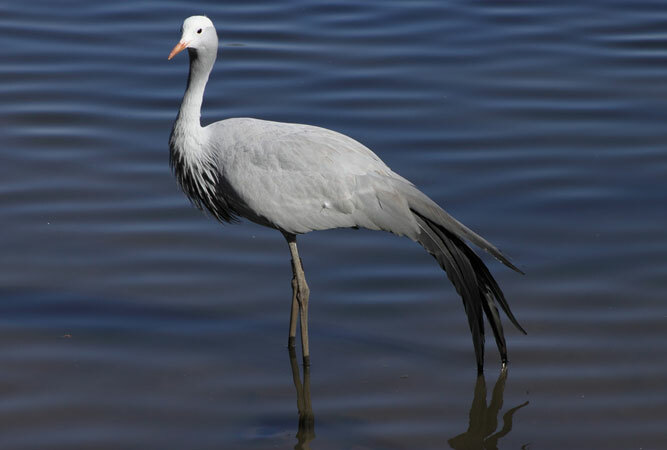 Concern over the blue crane began in the early 1990s when it became obvious they were on the decline – their numbers had dwindled in the northern Free State, KwaZulu Natal, the Eastern Cape and the former Transvaal by as much as 90%, and they had almost disappeared from the Transkei, Lesotho and Swaziland. There were major reasons why all three crane species were on the decline: unintentional poisoning by insecticides used on farm crops, a major loss of habitat – former grasslands had been converted into farms and commercial forests, power lines into which they often fly, fences and baling twine for the same reason, and the killing of chicks by domestic dogs. Various bodies emerged in a bid to save them. Today these various groups are co-ordinated by the South African Crane Working Group (SACWG), under the guidance of the Endangered Wildlife Trust. Stands about four feet high, its body a beautiful silver blue grey, darker on the upper neck and lower half of the head. They have short bills and black legs, whilst the tips of the wing are long, dark and hang almost to the ground. It is one of only a few crane species that make up the most endangered family of birds on earth. It does not rely on wetlands for breeding and feeding, as its contemporaries the wattled crane and grey crowned crane, but it will seek out shallow wetlands when available. Few blue cranes occur in nature reserves; they prefer farmland, which means their future lies in the hands of private landowners. 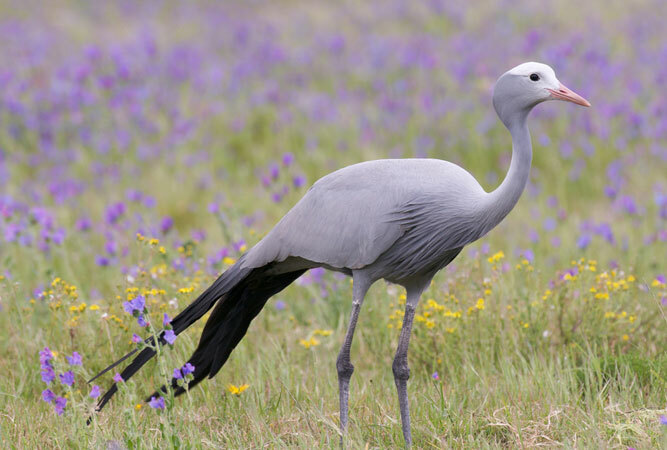 Blue cranes are listed as vulnerable on the IUCN Red List, and the Xhosa people call them Indwe. You will find them in the grasslands and farmlands of the Overberg and Swartland of the Western Cape, the central Karoo parts of the Northern Cape, the west of the Eastern Cape, the southern parts of Mpumalanga, parts of KZN, and the north-eastern parts of the Free State. Stands three foot high with a wingspan of 3.7 feet, a grey body, white wings with feathers that range from white to brown to gold, and a head topped with stiff golden feathers (hence the ‘crown’). Also known as the mayhem crane, there are now only 6 000 of them in South Africa, their numbers dramatically declining largely due to trade from the wild to captive facilities around the world, and the deterioration of wetlands and grasslands. Interestingly, they are the only cranes able to roost in trees. Grey crowned cranes need a mixture of wetlands (they nest on the edge of wetlands, building concealed nests from wetland plants) and grasslands for summer breeding, although they increasingly favour farmland (farmers unnecessarily persecute them, believing them to eat the seed of their crops, when they are more likely to eat the insects on the crops). Once the most common of Africa’s cranes, they have been upgraded on the IUCN Red List from vulnerable to endangered across Africa, although they are still considered vulnerable in SA. In the moist, higher rainfall regions of the Eastern Cape, KZN and the north-eastern Free State, as well as the eastern parts of Mpumalanga. Stands six feet tall, their 8 feet wide wings an ashy grey, the feathered bit of the head a dark slate grey above the eyes and on the crown, but otherwise white. It has wattles that hang down from under the upper throat, hence its name. The breast and tips of the wings are black and their long bills and long legs and toes are also black. Wattled cranes are critically endangered because they are so specialised, needing good quality wetlands to survive; there are only 235 left across the country and they are of the most endangered African birds. A wattled crane recovery programme, run by the Johannesburg Zoo, nurtures the second, usually abandoned, egg laid by a small percentage of females, rearing the chick with a puppet and costume to prevent human imprinting. Most of them live in large floodplains in central Southern Africa; in South Africa mainly in isolated pockets in the KwaZulu Natal highlands.